​No sanding, no priming, no sealing, no kidding! Dixie Belle Company chalk paints get you to the fun part faster...enjoying your finished creation! Dixie Belle paints are easy to use, forgiving to even the most inexperience painter and once cured provide a practical, durable finish. 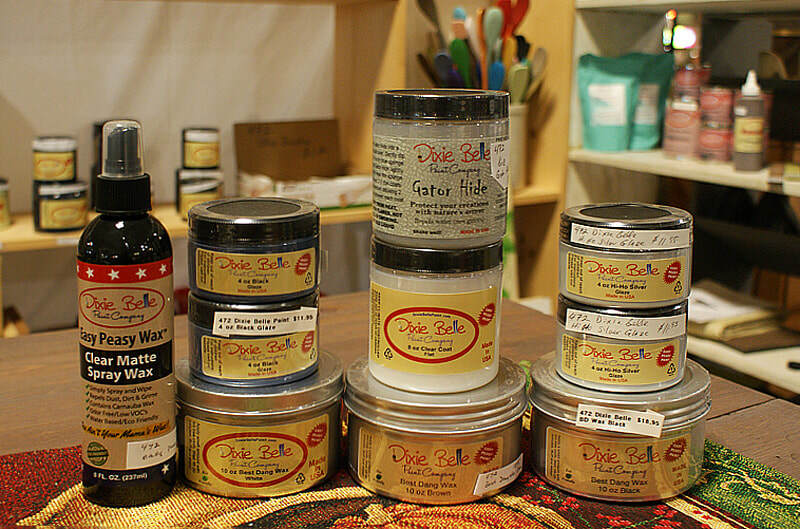 Veranda Antique Mall is proud to offer the full line of Dixie Belle chalk paint colors as well as many gel stains, brushes and accessories. Questions? Come by or give us a ring at (573) 814-3600. 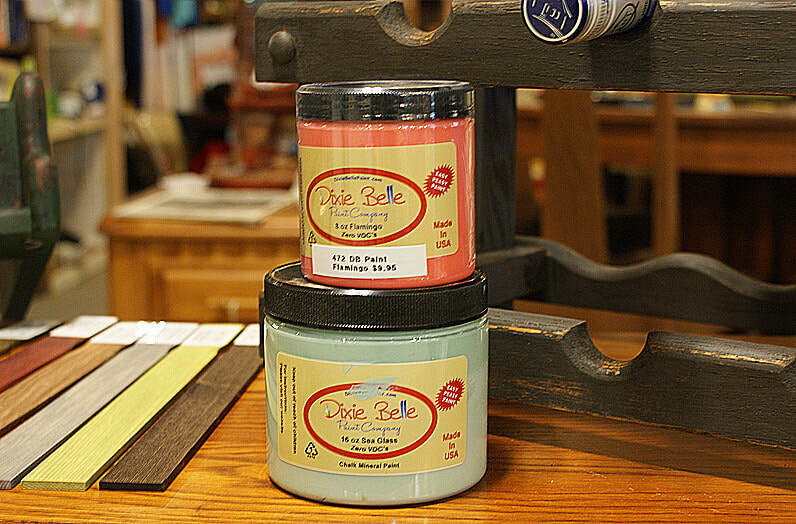 Versatile and available in a rainbow of colors, there is sure to be a Dixie Belle chalk paint to bring your next project to life! 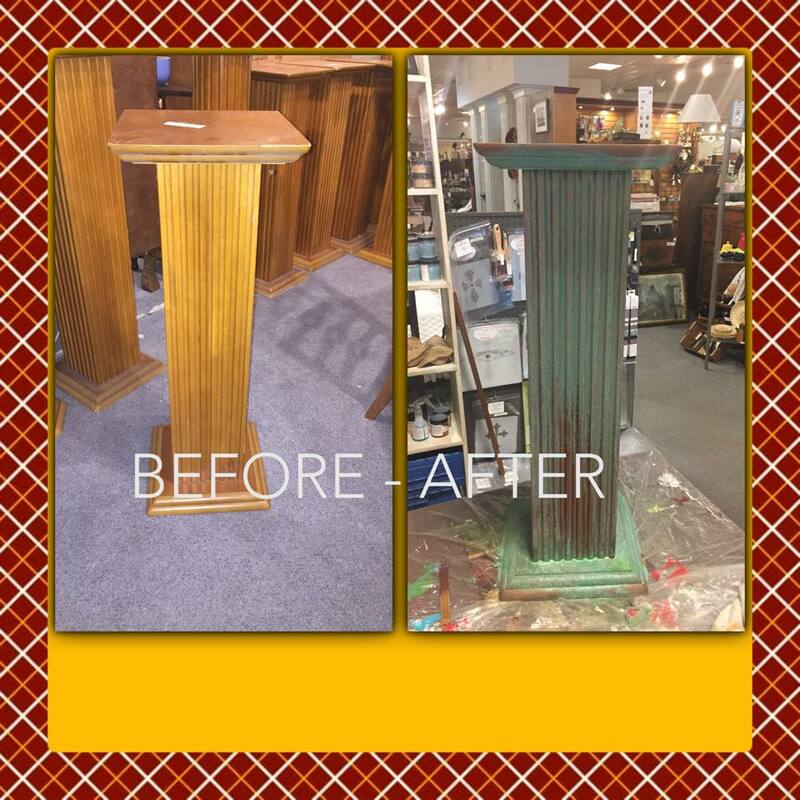 Dixie Belle Paint’s Patina Collection transformed this wood fern stand into a faux copper pedestal. Come in and ask Mike how easy this is to do!